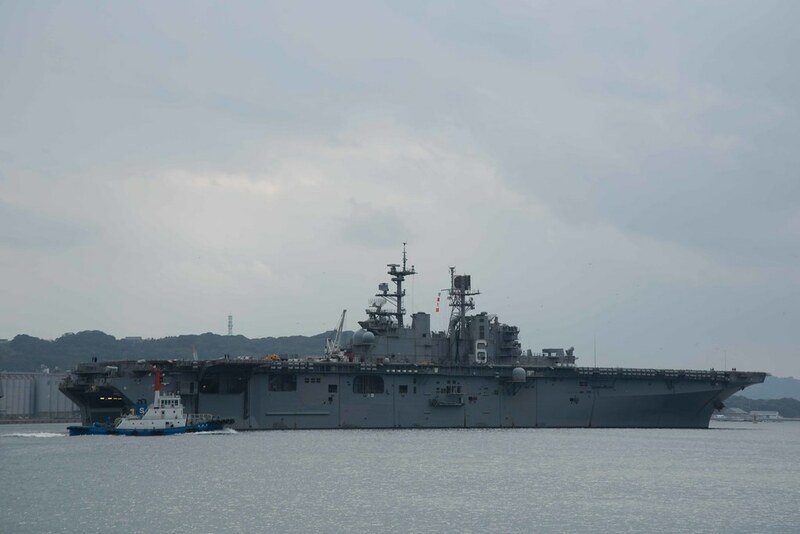 SASEBO, Japan - The amphibious assault ship USS Bonhomme Richard (LHD 6) was certified deployment-ready following a Naval Surface Forces-led Ready for Sea Assessment (RFSA), Jan. 23. The RFSA is a two-day assessment, conducted by Commander, Naval Surface Forces Command’s (COMNAVSURFOR) TYCOM Material Inspection Team (TMIT), which evaluates the material condition of installed and portable equipment throughout the ship, as well as the crew’s overall ability to operate safely at sea. The first day’s assessment was conducted in port and consisted of equipment, material and administrative checks. Riesing said the TMIT inspected everything from primary and secondary drainage systems to the inventory of every repair locker aboard. The TMIT also inspected a variety of equipment and materials used in other areas of the ship, such as combat systems, navigation, engineering and deck to ensure all equipment are operational and within standards. The second day’s assessment was conducted at sea and focused on the crew’s proficiency in propulsion, navigation, damage control and medical response. John Kelley, a member of the TMIT said that in these drills, the inspection team assesses the crew’s ability to respond to a casualty quickly and efficiently while also following protocol and safety standards. Stemming from life-like damage control scenarios, the drills assessed during the RFSA effectively tested the training of the ship’s multiple response teams. The drills conducted and equipment assessed are essential to keeping the ships of the fleet safe and mission ready. With the ship certified, the crew is poised for a successful patrol in 7th Fleet. Bonhomme Richard is underway on a regularly scheduled patrol in the Indo-Asia-Pacific region.